It’s time you roll the dice as you saw your favorite characters do it in blockbuster ‘Jumanji’ film. 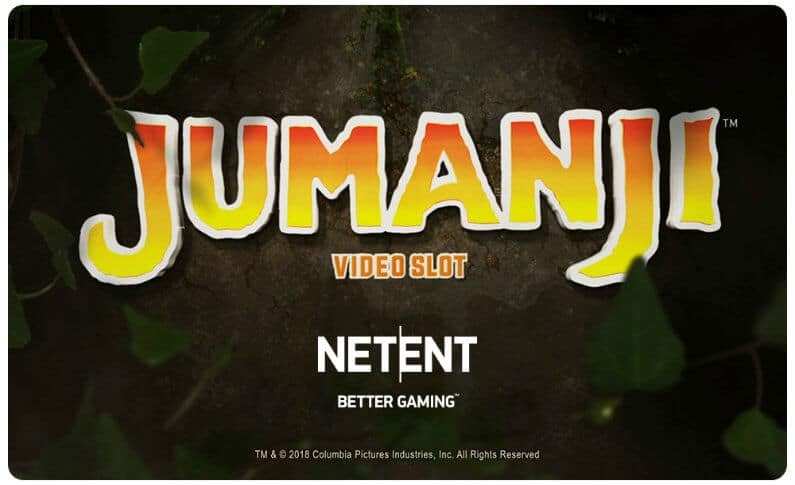 The new upcoming NetEnt video slot takes you to the jungle in an ambitious and exciting journey to riches. Your fortune is locked in the dice. As you roll it, you know what’s coming next. It’s an adventure like no other. NetEnt is a leading provider of digital gambling solutions. The studio has collaborated with Sony Pictures Consumer Products to bring out this original Jumanji-themed video slot. Recently, NetEnt showcased the game at the ICE and offered a sneak peak of their latest lucrative video slot. The game will be available in your favorite online casino by the end of this year. Here is a quick overview of this upcoming blockbuster release of the year. The game is based on holiday the blockbuster film ‘Jumanji: Welcome to the Jungle’. The movie made more than $676 million globally in theaters. That’s incredible success for an entertaining adventure film. Considering its success and popularity even today 20 years after the original movie hit the theaters, it’s obvious that the concept of a jungle adventure is still valid. Knowing that well, NetEnt made the right move to add this high-profile title to their ever-increasing roster of casino games. The game will take players on a wild ride through the jungle. The world of Jumanji is unforgiving but it’s also highly rewarding. But in the new NetEnt video slot, the troubling characters from the original Jumanji world have turned into special features. It’s a wild adventure on the reels. Players don’t have to fear the wild stampede or the monkey mayhem that totally destroyed the world in the film. Instead, the game uses them as giveaways. The wild characters are now special features. Monsoon Wilds, Wild Stampede, Monkey Mayhem, and Sticky Vines trigger special winning combinations that lead to unprecedented riches. It activates randomly during the game. When the feature is triggered, reels 1-5 turn into Wild symbols. Just like Monsoon Wilds, this feature also activates randomly on any spin. When Monkey Mayhem is triggered, monkeys mix up the reels to create unique winning combinations. It activates in a base game. When it’s triggered, a Stampede spreads Wilds across the 5 reels. These vines, famous from the Jumanji film, appear randomly during the game. They, as the name suggest, lock wins in their sticky stems. Once these vines have appeared, a respin is automatically activated. There is also a bonus game in Jumanji video slot. This game is triggered as soon as three scatters land on the reels. This special bonus feature is truly unique and a new entry to the video slot category. Also, read our guide explaining scatter symbols – find it here! NetEnt has already tasted mega success with an adaptation of an original concept for a video slot in 2017’s Planet of the Apes slot. It became one of the blockbusters of 2017 and it seems as if NetEnt is repeating the success this year with another film-based slot. Considering the YouTube trailer that NetEnt has released so far (you can watch it in this post), it’s obvious that the Jumanji slot will have incredible graphics. The trailer also showed that the developers will use the original Jumanji theme, ignoring its latest film. Jumani is expected to be a highly entertaining slot with some awesome graphics, considering they have adopted an original movie and obtained a license from Sony. NetEnt is going to give it its best in terms of production value so players could expect to a lavish experience with a lot of rewards for the lucky ones. NetEnt and Sony signed the agreement on 18th January 2018 to bring the Jumanji world to online casinos. The game launched on 21st June 2018.